food chronicles Love Desserts? I Do! 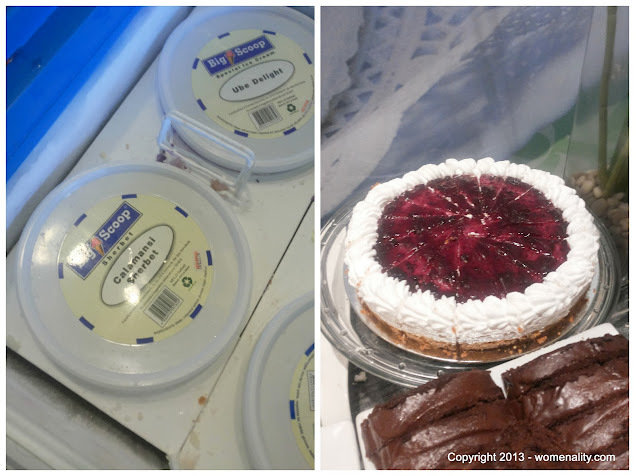 Yesterday, after a few hours of shopping in Greenhills and a relaxing massage by the visually impaired masseurs, my family and I headed to Banaue Quezon City for a delightful eat all you can desserts at Love Desserts. 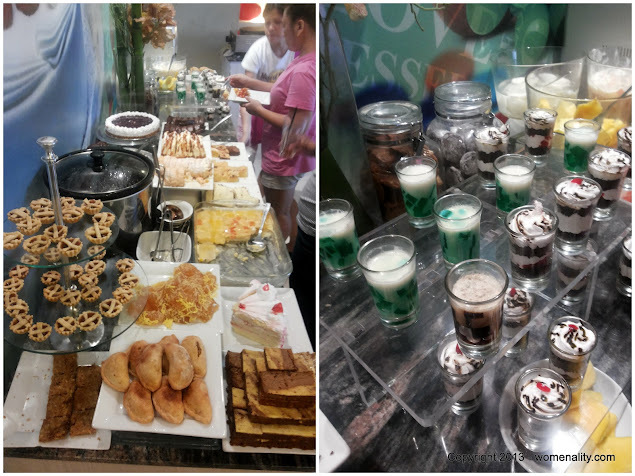 I learned about “Love Desserts” while searching for “eat all you can restaurants in Quezon City” last Thursday for the Father’s Day celebration on June 16. I stumbled upon several blog posts and became so interested that I immediately shared this new discovery to my family who also loves to eat! And now… I’m writing the story! We arrived in Love Desserts at 5 PM and it’s almost dinner time. The restaurant is packed with customers, good thing we have reservation. We also saw few that are still in waiting to be seated. The place is quite small but cozy. The store policy allows visitors for a maximum stay of 2 hours. The price for adult is Php 199 (roughly $4.71) and Php 150 (roughly $3.55) for kids. Luckily, my sister’s company is one of their suppliers and they gave us a 10% discount each. Wee.. thank you again! 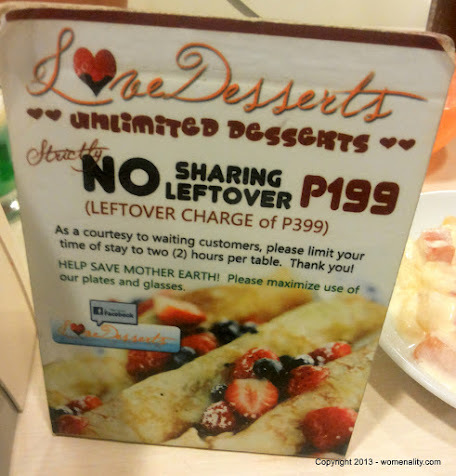 Just like other eat all you can restaurants, there should be no sharing and left over at Love Desserts too. The left over charge is Php 399. They also suggest the reuse of plates and glasses to save water. I can overly say that the selection and tastes of food at Love Desserts is more than Php 199 worth. It’s worth more than that! But I love the fact that it’s only Php 199. Management, please don’t change the price =). The selection of food is not limited to sweets only. They also offer some pica-pica that will balance your taste buds. I don’t have a picture of that section because a few people are blocking the view when I was attempting to take the shot. 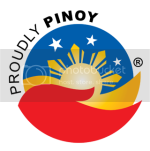 Nevertheless, the food comprises of Dynamite (cheese sticks with chili), Manga and Singkamas with Bagoong, Fried Lumpia Wrapper with nachos sauce which is really good, Empanada filled with lots of chicken filling. 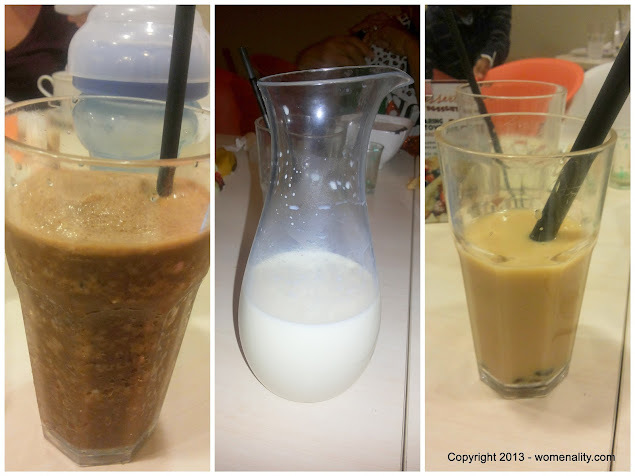 Milk tea, milk shakes, coffee and iced tea are also overflowing. The picture in the middle is a glass of fresh milk that you can also ask if you feel like adding more in your coffee or Champorado. 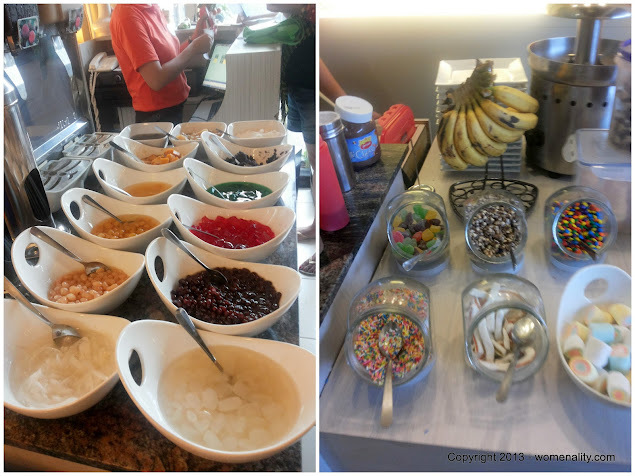 Who will say no for Halo-halo? This is the country’s most famous and favorite summer desserts. My pamangkins also love the gummy candies and fresh banana. They also have the star of Noche Buena and birthdays, the Fruit Salad. Different flavors of ice cream are available to delight your taste buds too. I personally like avocado, calamansi and orange flavors. And here’s the crepes’ station! My top favorite is Choco Banana Crepes. 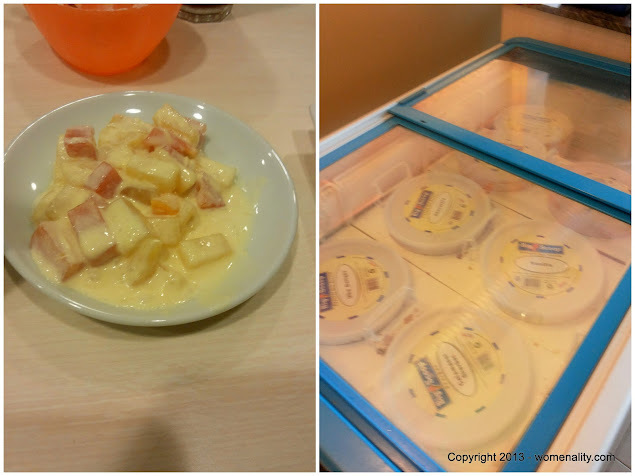 In the photo, the ice cream flavors are calamansi and orange. 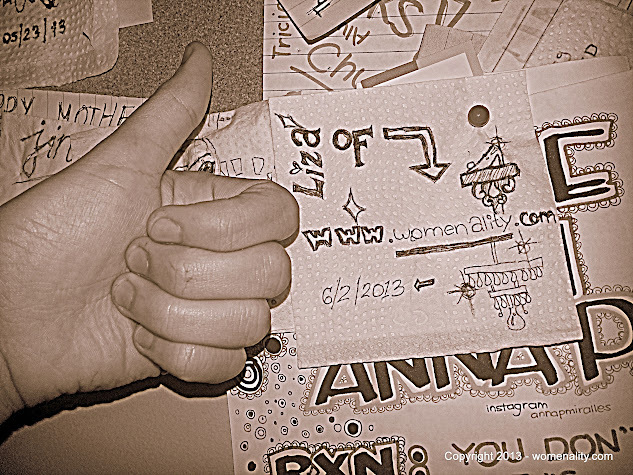 On the walls of the store, you will see some cork boards with messages of the customers and pictures who visited them. I made a remembrance too! Overall experience? Certainly went home with a Happy Tummy! I definitely recommend this to those who love desserts. It’s worth every penny. 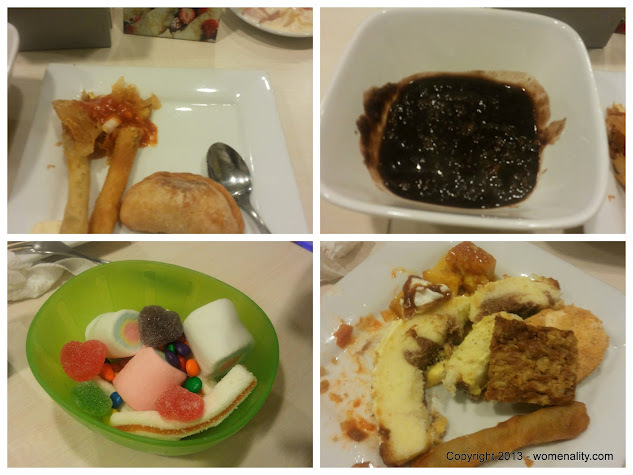 Food Price: Php 199 (roughly $4.71) for adults and Php 150 ($3.55) for kids. Important note: The aim of this article is to share our experience with Love Desserts in Banaue, Quezon City. The restaurant did not asked or paid me to do this article. However, we’re given 10% discount per head by the manager because my sister’s company is one of their suppliers.